This weekend I started my Christmas shopping early. Yes, it’s time to think about that holiday already. So to be prepared for being in toy stores and running errands all day I went for a comfy-casual look. 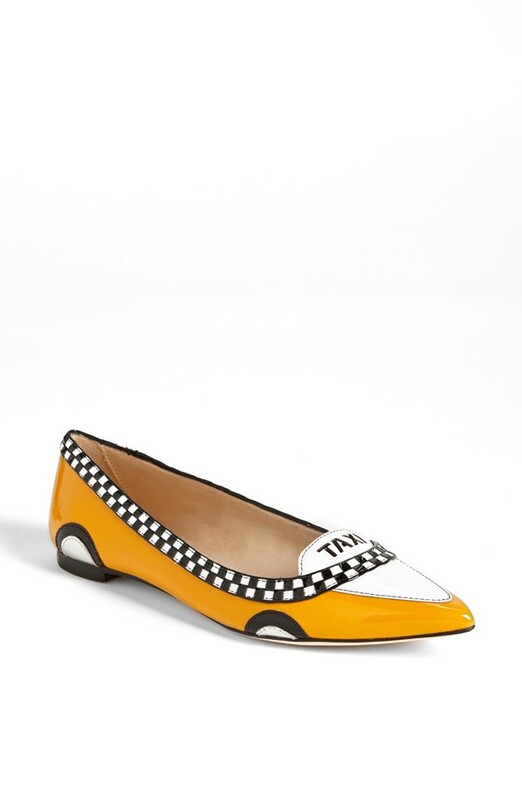 I knew I had to be in flats all day and why not be fashionable at the same time so I wore these Kate Spade Taxi Cab Flats ($278). 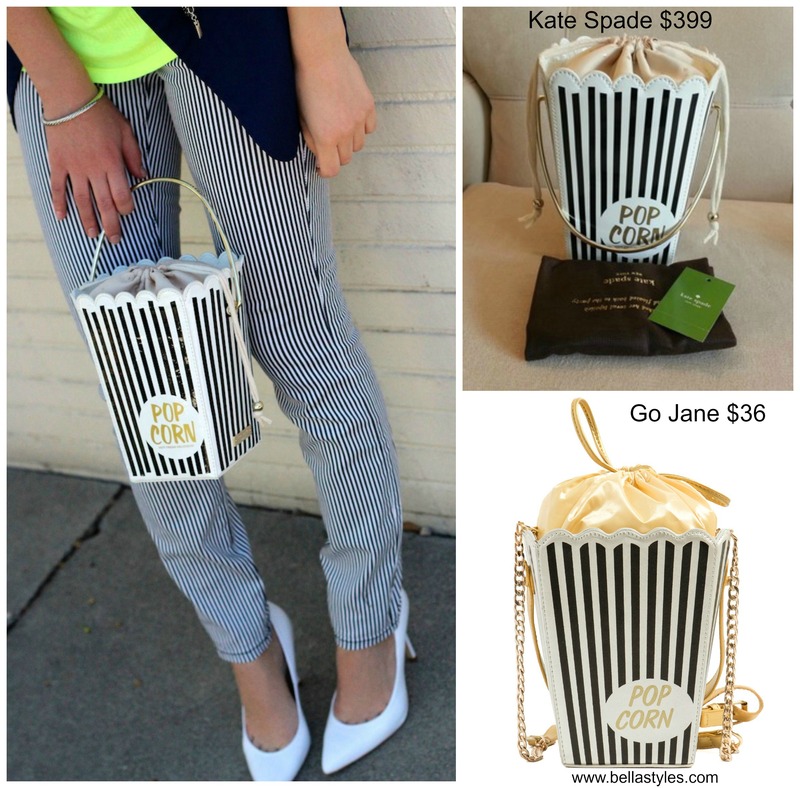 Yes, I’m also re-wearing the popcorn clutch (which happens to be a Kate Spade replica) and another side cascade peplum top ($42) such as the one I wore before in pink from Chic and Curvy Boutique. 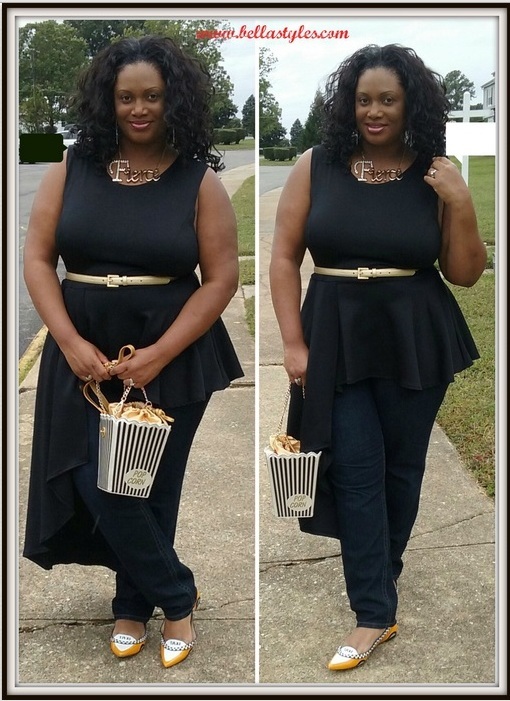 But this time I added a skinny belt and statement necklace to round out my look. i love that cute purse!